Welcome to Hotel Savoy Palace Gardone Riviera. 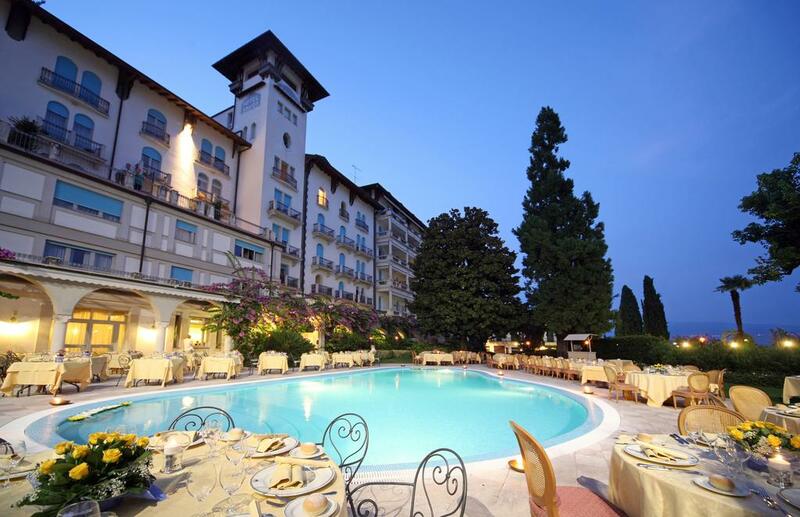 Situated in one of the best locations on Lake Garda, in the heart of the exclusive centre of Gardone Riviera, the prestigious Hotel Savoy Palace, after being closed for careful and detailed renovation, opened again in June, 1999. Built around 1904 to a project by Architect Enrico Shafer, the Hotel Savoy Palace boasts a history dating back almost a century. After being skilfully enlarged in 1913 by entgineer Zawar, the hotel became the symbol of Gardone Riviera and a convention point for a high-class international clientele. Among its guests were famous figures of the period, including Gabriele D'Annunzio, Umberto of Savoia and King Faruk, who came from all over the world to enjoy the hotel's exclusive atmosphere, the mild climate of the area and the peace and quiet hard to find elsewhere. The aim of the renovation project was to recreate the atmosphere of that period, maintaining the characteristic art nouveau architecture of the façade facing onto the lake and respecting the building's history in terms of colours, shapes and materials. Inside the hotel, marble, stone and precious woods and furnishings recall the Art Nouveau style and the neoclassic period. Today, guests can enjoy a wonderful century-old garden with private swimming pool, facing onto the elegant lake-front of Gardone Riviera and the Bar service of the magnificent Gabriele D'Annunzio terrace, which extends out into the lake like the bow of a ship. The Hotel Savoy Palace offers a unique and unrivalled environment where moments of amusement and society life combine with a discreet and reserved atmoshere and where privacy and total relaxation predominate. The Hotel Savoy Palace has 60 rooms, all elegantly furnished using top-quality materials and featuring every amenity: direct-dial phone, satellite Tv, minibar, independent heating and air-conditioning, safe. (Hotel Savoy Palace Gardone Riviera hotels).